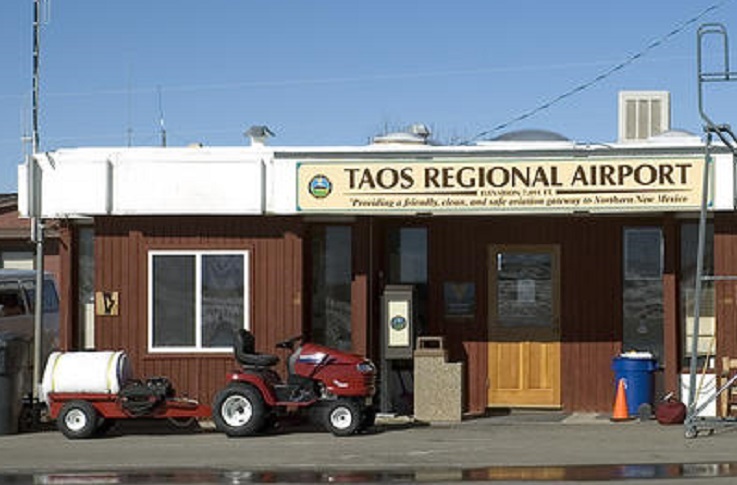 Following the Taos Regional Airport’s opening of its new crosswinds runway last August, Taos Air will launch new air service this year. The milestone event of the new runway was the result of a thirty-year, $24,000,000 development process, in conjunction with the NM Department of Transportation’s Aviation Division and the FAA. Taos Regional Airport will begin direct charter flight service to and from Austin International and Dallas-Love Field airports beginning December 20. The air service will be known as Taos Air and will be comparably priced to traditional commercial airlines. One stakeholder working with the Town of Taos to bring the new Taos Air charter service to the airport is Taos Ski Valley, Inc., which purchased a 30-passenger jet and entered into a management agreement with Ultimate Jet Charters to operate the new Taos Air service in and out of Taos Regional Airport. Starting December 20 and continuing through the end of March, Taos Air will begin direct charter flight service between Taos Regional Airport (TSM) and Austin International (AUS) and Dallas-Love Field (DAL) airports. Winter service will consist of one flight to and from each destination every Thursday, Saturday and Sunday or holiday Monday, for a total of six round trips per week. Older PostThe Louvre: In Abu Dhabi? Durban, South Africa food Tourism: A winner!